Healthy Gut has a pH range of 8-9 its alkaline nature results in higher pH levels. Acid Load can lead to acidosis (low internal pH) which causes a number of health problems. This problem of over acidification is caused by a number of factors including exercise transportation stall confinement and high grain diets. Grain breakdown begins in the stomach producing “volatile fatty acids which lower pH and then moves to the hindgut were it produces lactic acid further reducing pH. When the pH of the gut drops below 6 the good bacteria critical for digestion are killed and pathogenic bacterial growth is promoted. has been used throughout history as a treatment for muscle aches and inflammation. 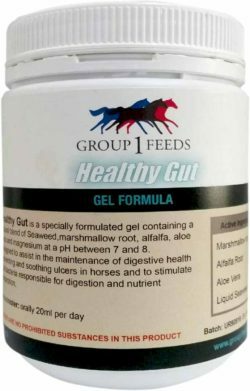 Marshmallow is a demulcent, containing mucilage materials that allow it to form a smooth protective film over the mucous membranes of the digestive tract and the Reparatory and urinary organs. This can coat raw, irritated and inflamed areas producing a soothing, cooling and healing effect at the site of contact. Marshmallow root also contains substances that can combine with and eliminate toxins from the body that are responsible for a range of negative effects including inflammation. is a highly concentrated source of many essential Vitamins and Minerals Including but Vitamins A, D, E and K as well as the complete spectrum of B group Vitamins including Folic acid, Biotin, calcium iron, magnesium and potassium. This is due to the extensive root system of the plant which allows it to absorb high levels of nutrients from the soil, leading to positive multidirectional effects including improved circulation and immune function. Alfalfa has long been a used to help stimulate Appetite and the relief of ulcers and had been shown to have an antioxidant, antimicrobial, and alkalizing effect on the body. has one of the highest mineral contents of any plant containing over 79 minerals and trace elements including Manganese, potassium iron and Zinc, which can significantly improve growth development, immune function, reproduction as well as general health and production. The main role of trace elements is enzyme formation which act as catalysts for biochemical reactions. Seaweed also contains a range of phytochemicals and osmoregulatory compounds to help enhance and stimulate gut bacteria which aid in the digestion and absorption of nutrients.